The explosive true story of fraud, embezzlement, and government betrayal. In 2000, the US Centers for Disease Control (CDC) carried out a secret mission to bury, skew, and manipulate data in six vaccine safety studies, in a coordinated effort to control the message that "vaccines do not cause autism." They did so via secret meetings and backtesting health-care data. The CDC invested tens of millions of dollars in a foreign health-care data analytics startup run by Danish scientist Poul Thorsen, a move to ensure that no link ever surfaced. But fate had other ideas. The agency soon learned it couldn't control Thorsen. In 2011, the US Justice Department indicted him for the theft of more than $1 million of CDC grant money. Master Manipulator exposes the CDC's hidden agenda for the cover-up. Influenced by Big Pharma money, future high-paying jobs, and political lobbyists, CDC executives charted a course different than what the findings of earlier vaccine safety studies revealed. The CDC needed an outsider to "flatten" the results of the data, while building an exit strategy: a fall guy in case the secret plan was exposed. Thorsen fit the bill nicely, conducting studies overseas. But the CDC's plan backfired, as Thorsen took the money to the bank and the power went to his head. It would take years for his fraud scheme--funneling CDC grant money to a Danish university and then back to a CDC bank account he controlled--to play out. 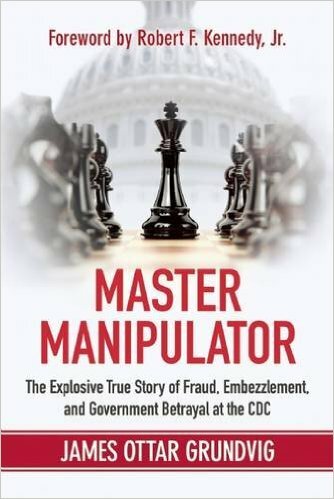 Master Manipulator is a true story of fraud and betrayal, and an insider's view of what takes place behind the closed doors of agencies and drug companies, and with the people tasked to protect the health of American children. It's a cautionary tale of the dangers of blind trust in the government and the health-care industry.